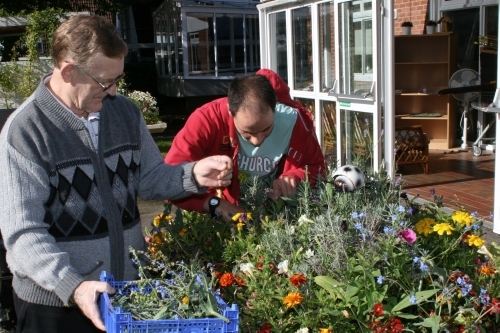 Chipstead Lake Resource Centre operates from a modern purpose-built facility for people with physical disabilities. We are situated in a lovely location beside Chipstead Lake, amongst beautiful, accessible grounds. Our aim is to provide personalised and empowering support in a person centred environment to everyone who uses our service. We offer a warm, supportive and friendly staff and volunteer team, fully trained in the values that underpin our day support services. For many disabled people, the opportunity to socialise, take part in meaningful activities and be as independent as possible, can be the key to changing the quality of their lives. The Chipstead Lake Resource Centre can help with all of this. It aims to support people with disabilities by promoting independent living and offering opportunities to try a variety of activities.